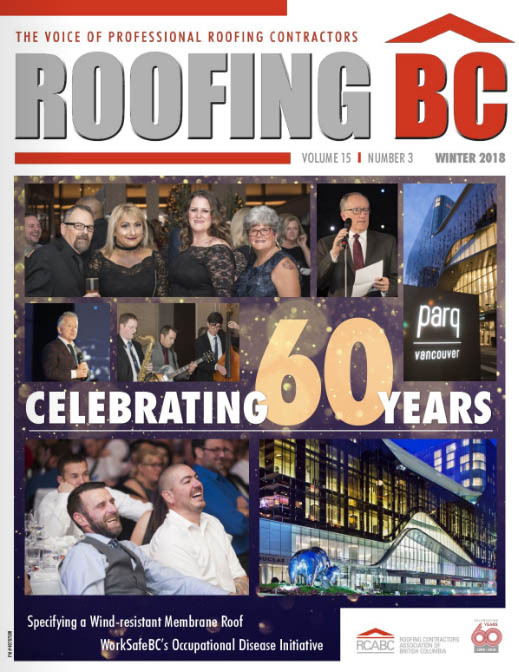 Roofing BC is the official publication of the Roofing Contractors Association of British Columbia and is designed to keep members, their clients and other industry groups up-to-date on the latest developments, issues and concerns in roofing. Roofing BC features articles on new products and technologies, building codes and regulations, safety and risk management, education and training, and business management and planning. Roofing BC is published quarterly. View the digital issue by clicking the link below. Printed copies of the magazine are mailed directly to roofing contractors, roofing industry suppliers, roofing design authorities, and other construction industry professionals and decision makers. *Roofing BC is mailed 4 times per year. You can unsubscribe at any time.